Conga drummer and lead singer Edgardo Cambón and his sextet, “LaTiDo” (Spanish for Heartbeat), returns to Angelicas for an evening of Latin Jazz, Salsa, Merengue, Cumbia, Bachata and the very special addition of Candombe-style music, to celebrate the Independence Day of his native Uruguay. 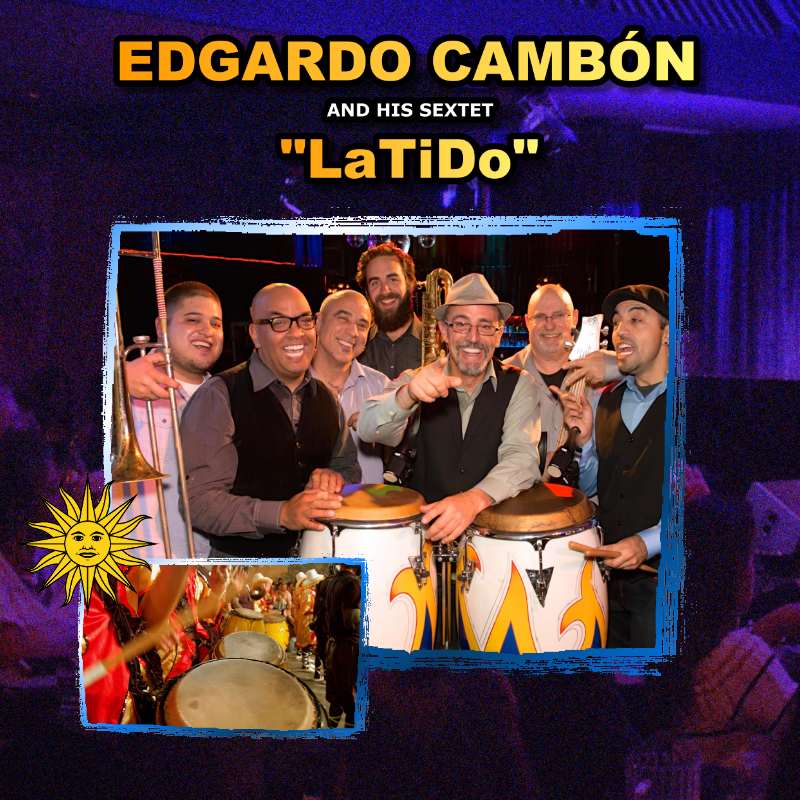 A pillar in the Bay Area Salsa and Latin Jazz scene, Edgardo’s music is equally inspired by the Cuban traditional Buena Vista Social Club sound as by the '70s New York Salsa and the current and more “pop” dance, Marc Anthony style. Blessed with a powerful tenor voice and a commanding presence on stage, Edgardo and his amazing lineup of young and veteran Bay Area Latin music masters will surely make his August 25th show at Angelicas a night to remember!